After a long, icy stretch in which the most noteworthy signing was probably Troy Tulowitzki, the hot stove finally flashed some sparks on Wednesday night, as the Milwaukee Brewers got out their checkbooks to pick up a top-notch free agent. 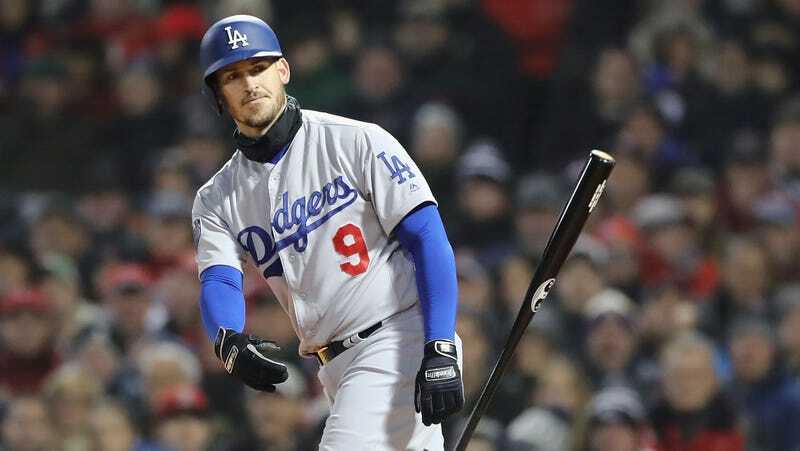 Former Los Angeles Dodgers catcher Yasmani Grandal is moving over to the NL Central, where he’ll make $18.25 million on a one-year deal. At his worst, Grandal is one of the top 10 catchers in baseball, and at his best—like he was last regular season—he might be second only to J.T. Realmuto. At age 29 in 2018, he had a career year at the plate, bouncing back from a rocky 2017 in which he only had a .308 OBP to put up a 125 wRC+ and slug over 20 dingers for the third year in a row. In the 2018 postseason, he was a bit of a hot mess, and his high number of passed balls isn’t pretty, but as a pitch framer, he ranks among the best in the game, and defensive metrics show him to be much better than his most memorable mistakes. Still, the market for Grandal’s services was extremely limited, as the only other reported offers came from the Dodgers—who made a qualifying offer of $17.9 million—and the Mets, who reportedly offered Grandal four years and $60 million sometime earlier this offseason before they got Wilson Ramos. When Grandal reportedly resigned himself to a shorter deal, the Brewers got involved—probably because they realized that paying below market rate for a massive upgrade on their catching platoon of Manny Piña and Erik Kratz was a no-brainer. With about half of MLB simply refusing to spend any money on good free agents, and the other half only doing so in the cheapest, most risk-averse ways, it’s impossible to see a solution in anything other than a labor stoppage in 2021. I would say thank god for the Brewers, who have done a solid job taking advantage of a depressed market for a couple of years now, but that would be very sad. We shouldn’t have to praise teams for trying to win.